Society focuses too much on physical health and no one’s blaming them. We need to take care of our bodies first if we want to achieve more in life. It is but a must because we can only count on ourselves to do everything for us, right? However, a person has different aspects that need to be considered too not only what’s physiologic and visible to the naked eye especially that they can also make or break a person. Mental health is one of those aspects. Total health care is necessary, frankly. When neglected, a person may start manifesting physical symptoms of the mental demons that have been silently bothering them unbeknownst to others. A lot of people are actually suffering from mental disorders because they already failed to cope with the many challenges in life while still in denial of their condition. If you look at the state of the world lately, you can deduce that a big chunk of the violent issues we are facing is largely because of mental health issues that remain unaddressed even in the most sophisticated of societies. Take the US for example, a first-world nation that is the undisputed leader in the world for just about everything is suffering from frequent bouts of issues like gun violence at schools that leaves innocent people injured or dead often by a student perpetrator. What could possibly drive these youngsters to such extremes is more likely because of mental problems they no longer know how to cope with. Even in workplaces now, there is that random news of violence that shouldn’t have reached that point if the person knew how to seek help before they resort to more drastic and deadly decisions. Calls for action and change typically follow each mass shooting, but the voices advocating for increased mental health services are becoming almost as loud and persistent as those seeking gun reform. Leaders of area nonprofit mental health organizations say they are cautiously optimistic about increased funding coming their way after facing persistent cuts to their budgets. Unfortunately, a lot of people do not have access to proper mental health care because we all know it is expensive. They can barely meet their physiologic needs and would only go to the hospital if the circumstances are dire so they likely won’t spend their hard-earned money on things they consider unnecessary such as a session with their shrink or psychiatrist. Even the most brilliant of people suffer from anxiety attacks and depression regardless of their prior knowledge about these conditions since they are just as vulnerable as the rest of us when human emotions are involved. 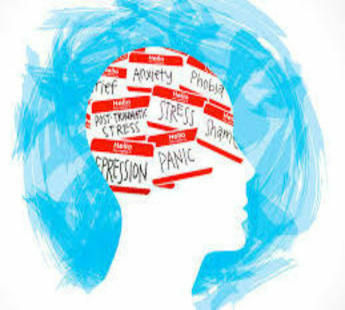 What the world needs to realize is that mental health is just as vital as physiologic health and that it should be given appropriate funding, so those who need it can have access to it whenever the situation arises. Do we still want to see headlines like this one that dampens the mood and makes people wonder if all hope in humanity is indeed gone? No matter how careful you are if fate permits, you can die in a snap from road rage or a random shooting in a public place where you, unfortunately, happen to be in at that moment because the culprit lost all hope and is now unable to process sane and rational thoughts. The thing is that these tragedies can be prevented. We don’t have to reiterate it over and over. Wherever you are in the world, you can see news of all sorts of violence so unspeakable now and then that it should be a wake-up call to you to take mental health seriously and give it the attention it needs before your insanity gets the best of you.